Lovely watch. Looks expensive. I bought this for my husband and he loves it. 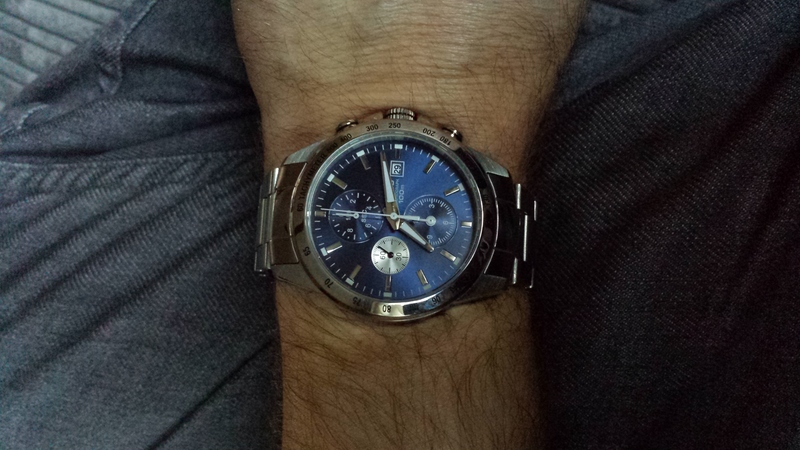 Mens Lotus Chronograph watch - was perfect present for my husband on our anniversary. Looks good and was excellent value for money. Metal bracelet was easily adjusted to fit. 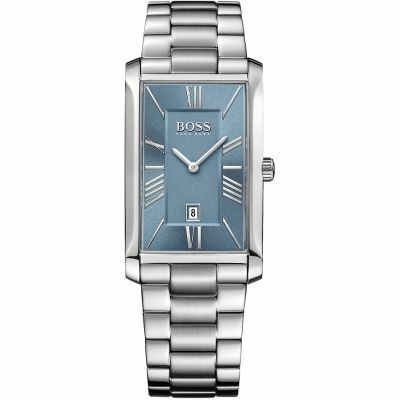 A watch that looks good if you wear a formal suit or casual clothing. Husband was delighted! 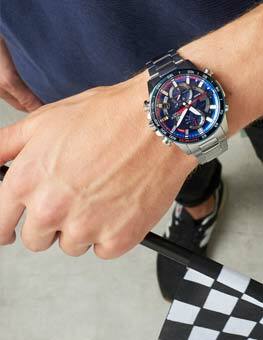 Good watch for good price. Really happy with the watch , well better in person colour is lovely really nice weight. This watch is just what I wanted, great look and feel and not too expensive for work so if it gets damaged then its easy to replace. Great service from watchshop quick delivery. very nice watch, the shape and colour as I expected. Everything ok as for now. thank you. Fast delivery, beautiful watch. Thank you! 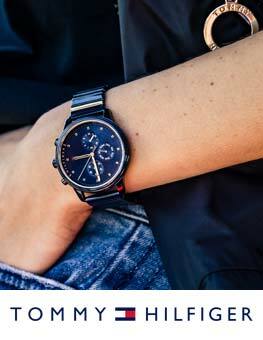 Lovely smart watch, neat and not too chunky for a slim wrist. Great chronographic features. 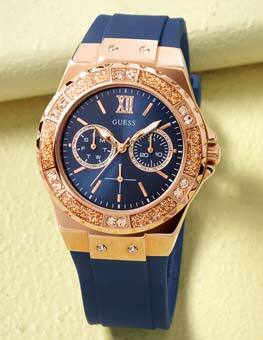 Beautiful watches with a great design, very beautiful blue display. The watch case is well made and polished to a shine. good quality bracelet but no more than that, then felt the economy. For this money, a very good offer! Ordered the watch online, very nice clear pictures. Quick and easy to order and a perfect gift for my dad. Arrived very quickly will defiantly use them again. bought this watch as a 50th birthday present. Watch is of brilliant quality and very stylish. This is the third watch watch bought from the watchshop from December and the service and products have been top quality! Nice watch, looks great. Arrived promptly. What more can I say? 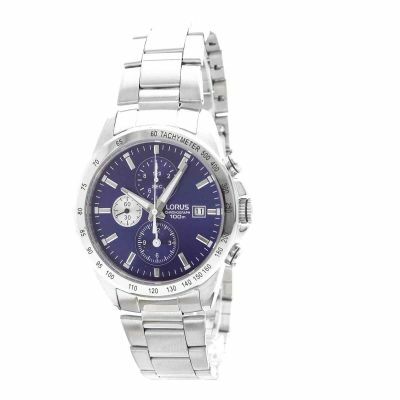 We love watches & my partner has a few but this one is a nice change with the lovely blue coloured face. The size is perfect too, not too large & not too small for the average sized male wrist. The silver is a nice shiny silver too. All in all the watch looks great for £50! Product arrived quickly with good packaging and presentation to make a fantastic present. Delighted with the product for the price. Recommend. Top quality at the best price and delivered. Watch strap was easy to adjust and fits comfortable. WHAT A GREAT LOOKING WATCH THANKS ! ! Good weight and feel. The clasp has 2 locking parts which really help secure it in place. The blue face adds a unique detail. very pleased with the product, the delivery was excellent, the product is a christmas gift which im sure they will be pleased with. would definitely by from the watch shop again. Purchased as a gift for Christmas for husband, watch is bigger and better than I had expected from the photos so was happy as is a decent size. Watch looks like it would fit wrist when compared to other watches he has but if not will use the free link removal option at goldsmiths. I bought this watch as a Xmas gift and wasnt disappointed. 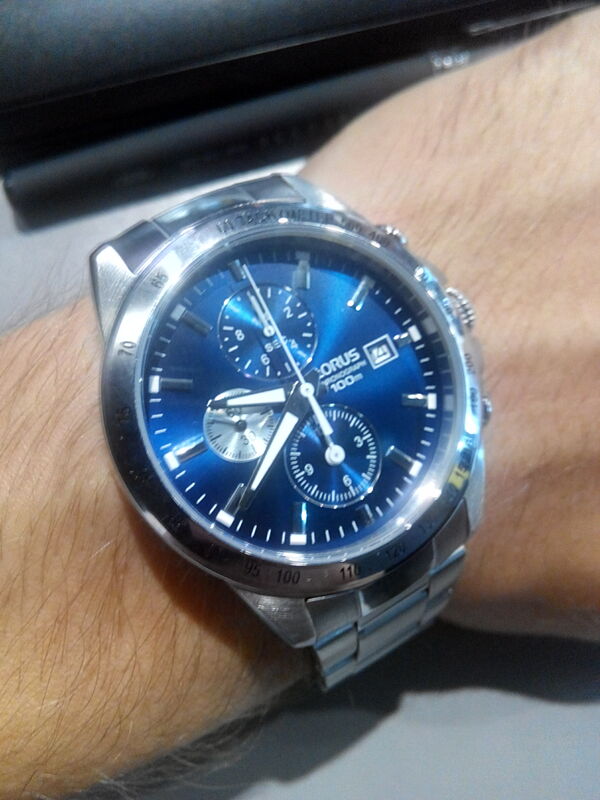 Its a lovely watch which is definitely set off by its blue face. Would certainly recommend it. The online purchase was easy and i got the watch within a day. But i paid for extra luxury gift wrapping and it was not done. Overall, probably yes, i will buy another watch in the future but dont ask for the special luxury wrapping. this is a lovely item. It looks very well and feels sturdy would definitely recommend it! Looks great and feels comfortable. Ideal for those that have a finer wrist or for those that arent fans of large watches. I bought this as a replacement to a discontinued accurist watch I had that broke. The only downside I can find so far is the bracelet which doesnt feel as sturdy as Id like. All-in-all a very nice watch. Bought this for my husband to be. He loved it. Looks great on. Amazing watch would recommend to everyone. The watch was a valentine gift for my husband. The product arrived on time on valentines day. I really liked the silver & blue combination which looks great on my husbands wrist. When I gave him the gift, he said WOW! 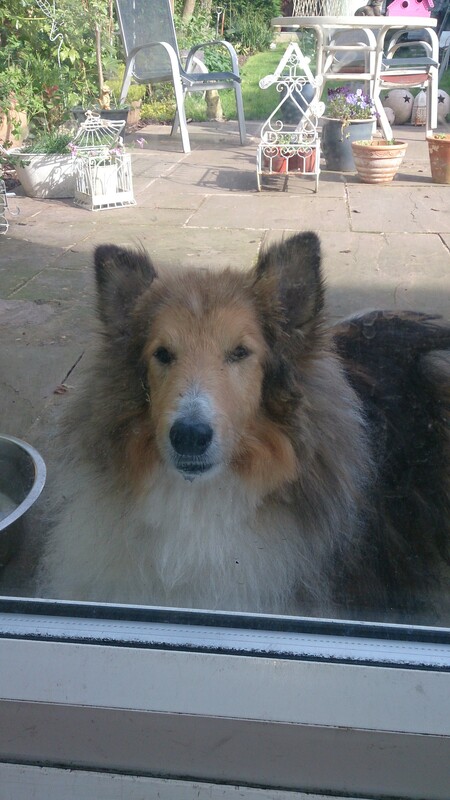 excellent and gave me a kiss. The watch is easy to wear and dont need to worry about it falling off, functions are easy to operate no need to read the leaflet, very stylish watch with expensive look. Excellent, just as described. Very efficient service and prompt delivery. Good looking watch . excellent quality for the price paid. Good weight to the watch giving it a robust feel. Nice watch solidly made not to heavy for a large watch. Good value promt delivery service, even with the braclet alterations. Very good looking watch for the price. Very pleased with product, excellent quality, looks very smart. Face very clear, strap style complements the watch. Would highly recommend. Fast delivery, good watch. Cannot fault. Impressive range of watches. Strap size adjusted before delivery saved getting it resized. Nice watch the blue face looks better than the photo on the website,this is a really smart watch,easy to read though the date window could be bigger for those with not perfect eyesight.Watch strap is easy to alter if necessary.All in all a great purchase. I recently purchased this Lorus Chronograph watch RF851DX9 from watch shop and was extremely pleased with the speedily return by first class post.The watch was well packed and a lot of thought went into the packing.I was well pleased with the look of the watch and think it looked more expensive than it was.The metal strap was to long and had to have it adjusted at a watch repairers at further expense but it fitted very comfortable when done.I like the blue face of the watch which shows all the dials very clearly.I did think the instructions were a bit hard to follow but that could have been just me.All in all a great watch at an affordable price that looks the business. I purchased this watch after seeing it on watch shop,it arrived very promptly and very well packaged a lot of thought went into the packaging. Excellent looking watch and well worth the money,I liked the blue face which reflects all the dials at a glance. The metal strap is good looking and comfortable but had to have a link taken out to gain good fit at extra cost,but that would have to happen with any watch.A cracking looking watch at affordable price. Just one complaint I think setting up instructions a bit difficult but thats prob just me. This is a fantastic watch! First impressions were a very smart, sophisticated looking watch. I was convinced when I saw the picture on the website, but when it arrived I was even more amazed. 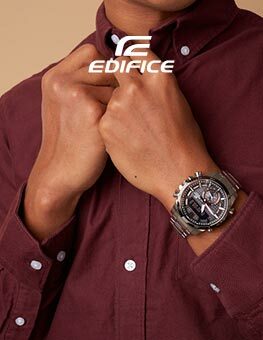 The blue face is perfect and complements the silver wrist very well, not too bright or too dull. It is a good weight, enough to give it purpose, but light enough to not be noticed when wearing it. The dials are very easy to use, and the stopwatch buttons are very slick and look great as well. The stopwatch feature itself is very useful and easy to use. The watch face hands are a good size and make it easy to instantly tell the time, likewise the date feature is large enough to see at only a glance. The clasp itself is very good, in the past I have had leather straps with a buckle-type strap, but this is much preferable. It was ever so slightly stiff when it first arrived, but became much smoother after only a couple of times of fastening. It is a very quick, efficient clasp and easy to function. 10 bar water resistance means it cane be worn swimming or in the shower without any risk. Furthermore, the stainless steel base means it will keep its shine and not mark. I simply cannot fault this watch! Plus if you include your wrist measurement in the order just use a tape measure - if you arent sure around 18cm should be about right you dont need to spend £5 taking it to be adjusted in a store. And free delivery is a bonus. Fantastically priced as well! I would recommend this watch to everyone, for every occasion. A perfect gift to a 16+ year old son/grandson or boyfriend/husband. 10/10 wouldnt change a thing. Love it! Bought it as a present for my boyfriend, his ever watch, and its perfect! A quality watch for my son's 21st. He's thrilled! Excellent service from Watch Shop at a very competitive price.